Our 4-star hotel comprises 97 Standard (22-26 m2) and 2 Suite rooms (30m2 -55m2) plus 1 room for the disabled, all of which can accommodate 200 persons. 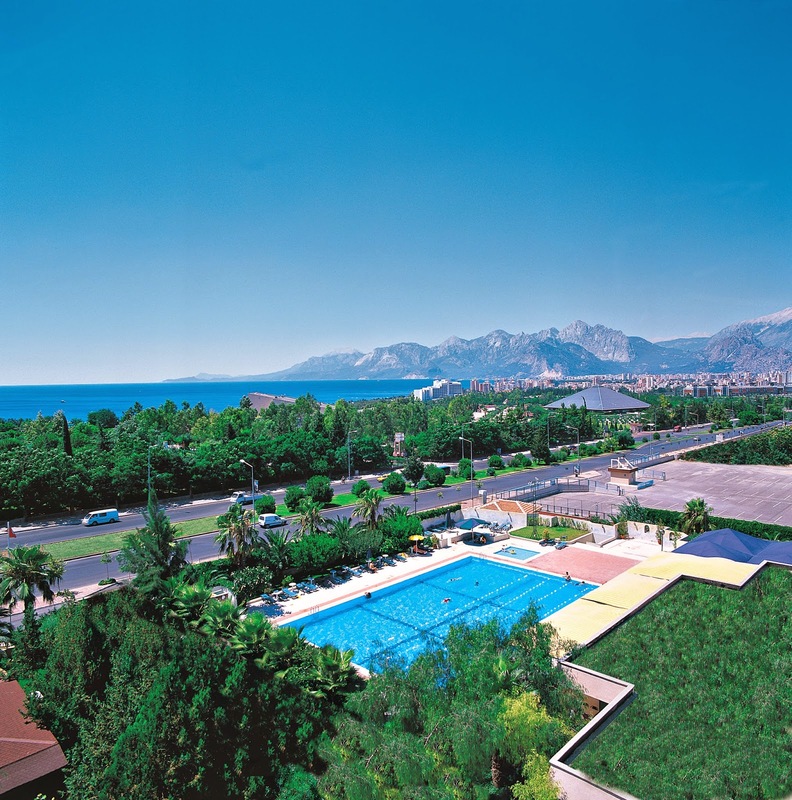 Located across the International Culture Park, Glass Pyramid, Atatürk Culture Centre (AKM) and ATİK (Antalya Tennis Profession Club), the hotel is only five minutes away from the city centre. The hotel incorporates a fully-equipped large meeting hall, besides 2 additional meeting halls, parking lot, laundry service and a lush garden. Its proximity to the grandest shopping centres in Antalya promises enjoyable shopping hours for our guests. Enjoy the seaside in the world-famous Konyaaltı Beach only 900 m away from the facility by taking the free shuttle service or indulge in the semi-Olympic size pool or relax at the Lobby Bar, before pampering yourself with the mouth-watering rich culinary assortment at A'la Carte Restaurant besides in- and outdoor restaurants. You can also have a good time and keep fit by participating in sport activities such as Tennis, Mini-Football, Fitness Center, Sauna at the hotel and Jogging in the verdant park area across the hotel.